First of all, hooray, it’s finally spring!! I’m not freezing at the moment and I even have a window open, it’s a miracle! I haven’t done a grab-bag in a while so I thought I’d share some fun products I’m liking right now. I haven’t bought a nail polish for more than $8 in years, but when I was at Ulta over the weekend they were having a promotion where if you bought a butter London nail-polish you would receive a free mini bottle of their powder polish remover, so I decided to indulge and purchase the color “Macbeth”. 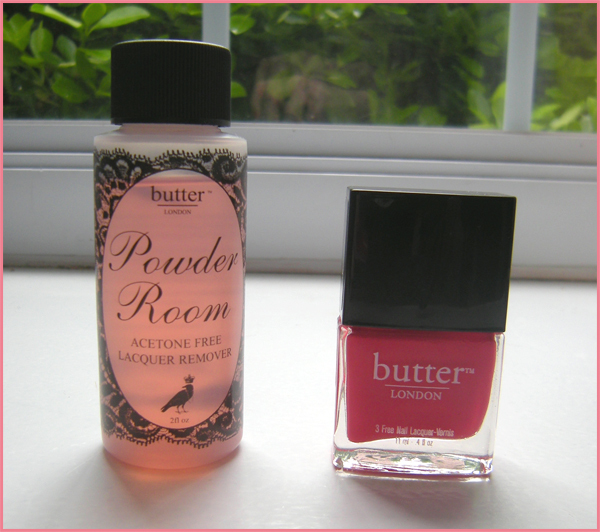 The powder polish remover is nice, it leaves behind a sort of baby-powder smell on your skin rather than a strong nail polish remover smell. Butter London polish is $14 at Ulta, and despite the name it’s actually an American company. I really like the bright reddish-orange shade I bought and even on the third day there is minimal chippage, but when it comes down to it I’m still cheap and I’ll have to be impressed by an unusual color for me to purchase this brand again. I fell and skinned my knees in front of Penn station last week both hurting and embarrassing myself while also ripping a new pair of $15 tights to shreds—so what did I do after that? I dusted myself off and went to Sephora where I bought this Hello Kitty eyeliner for $16 to cheer myself up. When you fall down, pick yourself up and buy some makeup—trust me. It’s an olive-green color called “picnic basket” and it’s a nice alternative to my usual black winged liner. I’m a little worried it might dry out fast, but I’ll just have to wait and see. I’m very happy with this liner and thinking I might buy the purple the next time I find myself in Sephora (or the next time I take a spill). This Pangea Organics lip balm came in my March Birchbox and at first I was like “whatever, sure, another lip balm”, but then it slowly won me over. It has a relaxing jasmine-y smell and goes on very smooth and moisturizes well. I haven’t decided if I can bring myself to buy another for $12 but I’m thinking about it. This is the biggest problem with birchbox, they make you fall in love with expensive products and then you feel compelled to by them—I guess that’s kind of the point though right? 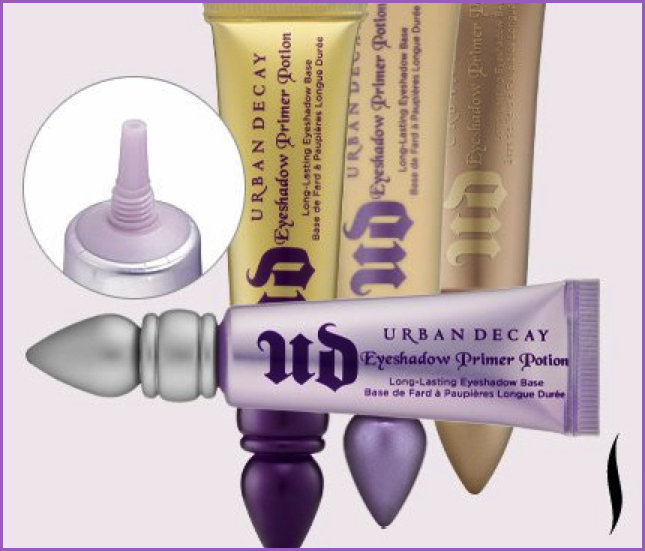 Last but not least, I’ve written before about my disappointment in the totally wasteful and annoying packaging of Urban Decay’s primer potion, they’ve finally listened to their fans and Sephora has changed the packaging for more efficient use. It’s always nice when a brand actually listens to their customers, isn’t it?